Wine, beaches, hiking, good eats like fresh Dungeness crab. The hop to Portland is an easy one for Bay Area folks. Most folks will fly into Portland. From there it takes about two hours to get to the Central Coast. No worries. 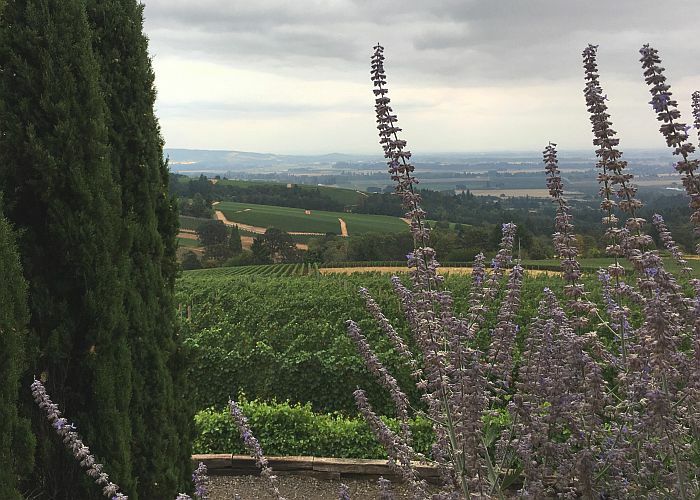 Breaking up the drive is easy thanks to Oregon’s Willamette Valley. There’s hundreds of wineries to choose from. I wound up at White Rose Estate, where the hilltop views put you in the vacation state of mind. The tasting room is open seven days a week and you don’t need a reservation unless you’re part of a group of six or more. The tasting fee is $20. You could dedicate an entire getaway to wine country, but today we’re headed to the coast. Newport is waiting. It’s easy to stroll in this friendly fishing town. You’ll hear barking sea lions from just about everywhere. For a closer look head to Port Dock One. The wooden docks they haul out on here might remind you a bit of Pier 39’s K-Dock. But for the best taste of the coast, don’t just walk along the water, get on it. 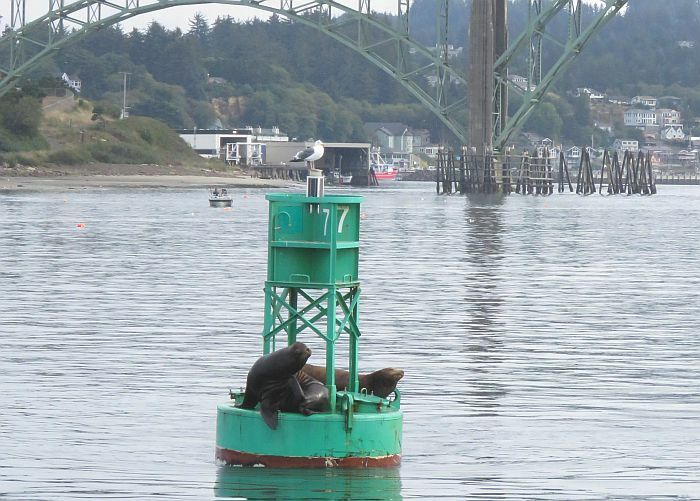 Marine Discovery Tours runs two hour cruises focusing on Oregon wildlife. (It’s a gentle ride on 65 foot boat. The cruise route varies depending on the ocean conditions.) We saw gray whales, seals, sea lions, harbor porpoise and a variety of marine birds. But hands-on crabbing experience is where visitors can show their salt, so to speak. The onboard naturalist passes along all sorts of facts and tips, including how to hold a crab so its claws are out of reach. Regardless of where you stop, keep your eyes open. 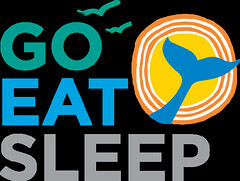 December through early February, whales migrate in the Pacific Ocean from the Arctic to warm waters in the south. Then, during March through October, the whales return north with their calves. I pulled off the road, at Boiler Bay State Scenic Viewpoint, because I could see the whales from the road. 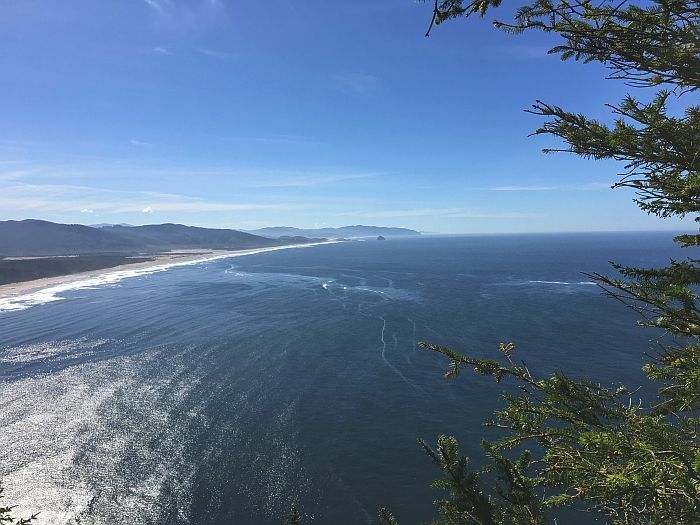 Save a few hours to explore Cape Lookout State Park. 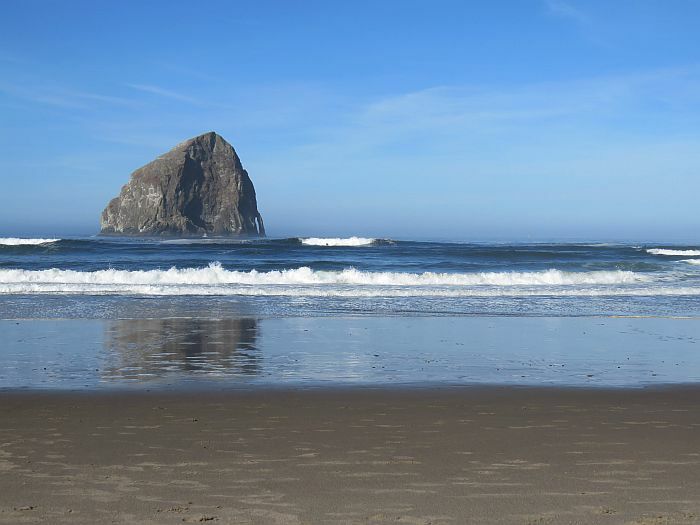 It’s only about a 20 minute drive from Cape Kiwanda, so it’s easy to combine the two. At 2.4 miles the Cape Trail is what I’d call a good, moderate hike. But the views give you that needed excuse to stop and catch your breath if needed. Folks forage here as well. 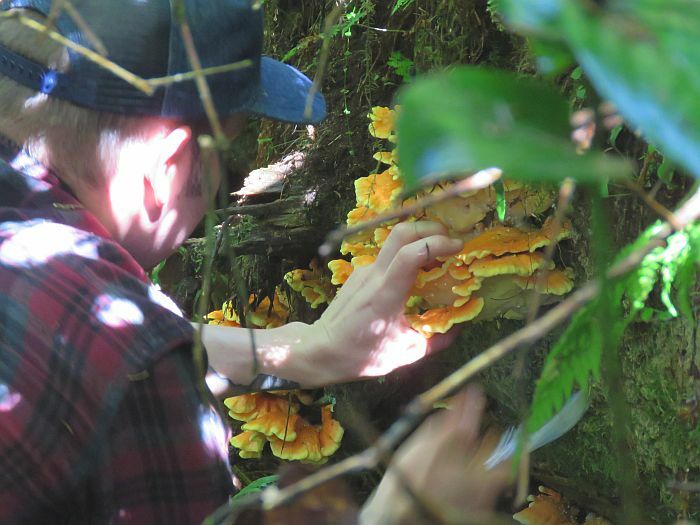 Local chef named Andrew Garrison from Salishan Spa & Golf Resort, about an hour to the south, was all smiles about the mushrooms he stumbled upon and added to dinner plans that night. But it’s the views that attract most folks. Cape Trail is an out-and-back trail, and you should expect one to two hours each way, but much of that is because of incredibly abundant photo stops. Dana’s trip was hosted by Salishan Spa & Golf Resort, but as always her thoughts and opinions are her own.